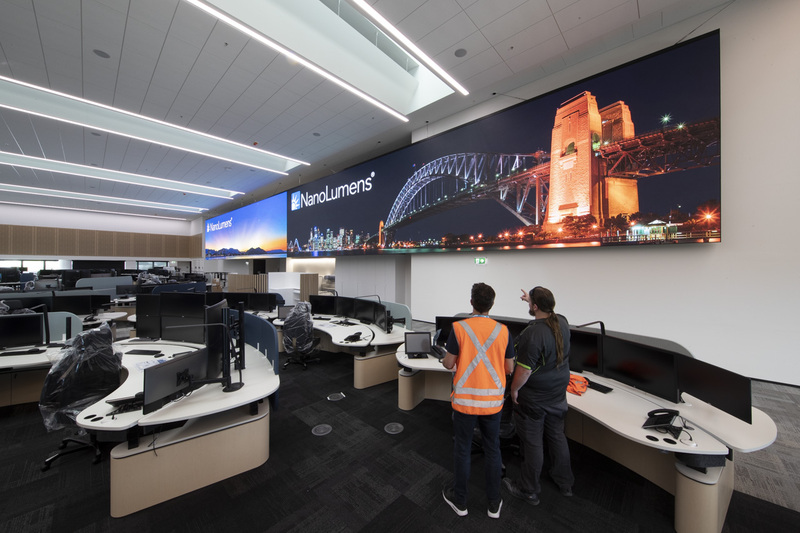 The record setting, 1.6mm NanoLumens Performance Series™ LED display measures 32m x 3.6m and helps new high-tech rail facility monitor the entire Sydney Trains system. 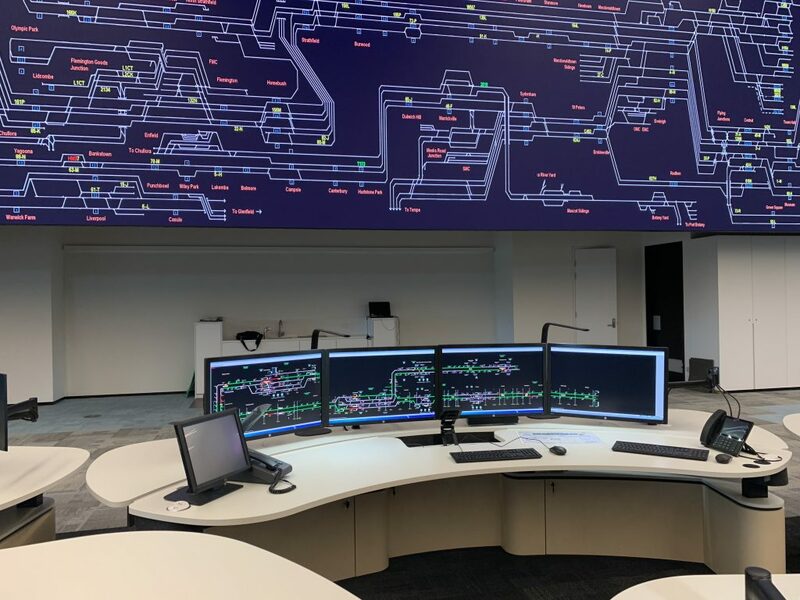 A new Sydney Trains Rail Operations Centre (ROC) now nearing completion includes a central control room featuring what is believed to be the world’s largest command and control LED display. This display, which includes the largest number of pixels, was designed, engineered and installed by NanoLumens, award-winning creators of LED displays in any size, shape or curvature, from a commission by Australian integration firm Critical Room Solutions and technology consultant Digital Place Solutions (DPS). The NanoLumens 1.6mm Performance Series LED display measures 32m x 3.6m and contains 41 million pixels and the largest number of processors ever installed in an LED display. 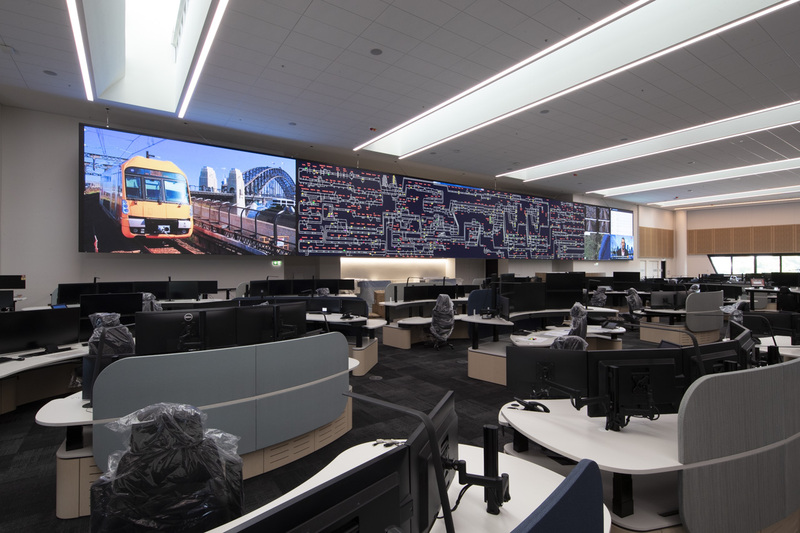 Critical Room Solutions (CRS), a specialist in command and control room installations, and long-time NanoLumens technology consultant in Australia Digital Place Solutions (DPS), commenced discussions with Sydney Trains in 2017 to determine the perfect display solution to allow the new control centre staff to effectively monitor all 178 stations on the Sydney Trains rail network. The super fine resolution design provides an entire display resolution of 19,200 pixels wide by 2,160 pixels high, equivalent to 20 windows of native Full HD resolution or 5 windows of 4K resolution, all without the need for scaling. The ROC is located near the Green Square Station in Alexandria, an inner-city suburb of Sydney. The NanoLumens display blends perfectly with the new centre’s futuristic interior design, and is integral in enabling Sydney Trains’ expert train controllers to monitor the entire rail system, controlling the trains, tunnels and platforms to deliver a safe and reliable journey. The entire length is suspended for ease of viewing by the controllers, some 6,900kg in weight and creates an open feel for the space which would have been closed and restricted had a floor mounted cube wall been used. 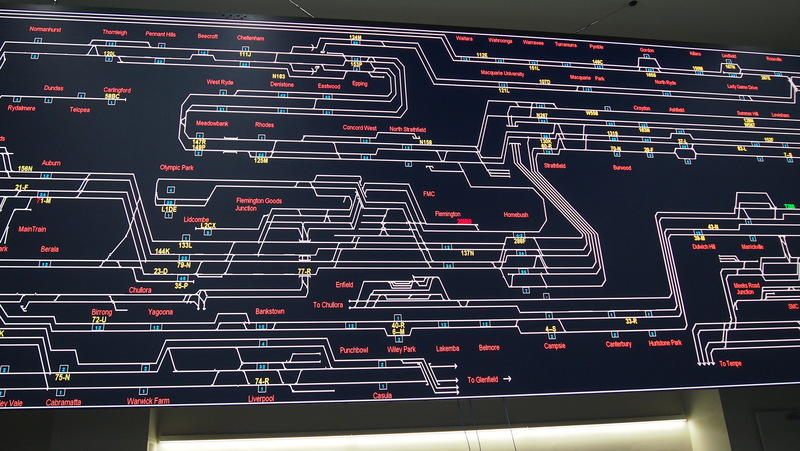 The consolidation from six different locations that were being utilized to monitor Sydney Trains’ entire operation to one central location at the ROC will drastically change the way the rail system manages day-to-day operations. And at the heart of it all is one extremely large NanoLumens display that provides critical information clearly, quickly and effectively. Work is steadily progressing on the Sydney Trains ROC facility as the project moves closer to its opening in 2019. However, commissioning of the new display facilities by CRS at the new control centre are already running smoothly — thanks in large part to a record-setting NanoLumens LED display.